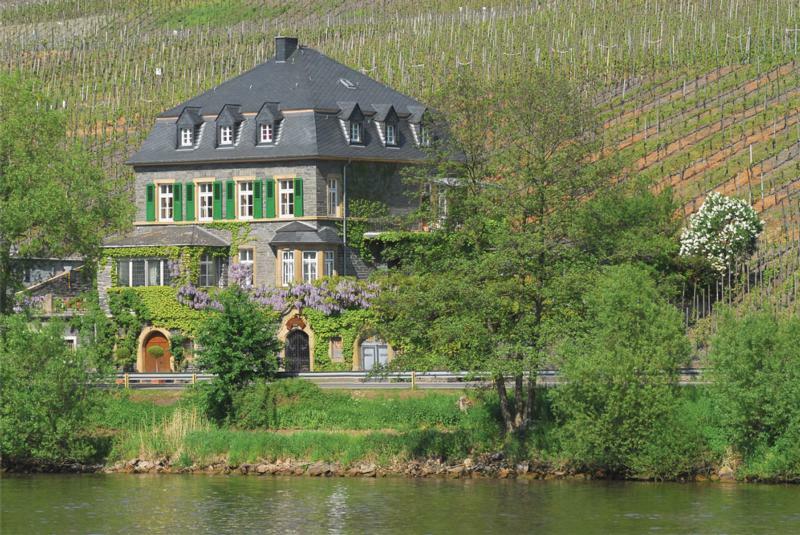 Situated on Germany's Mosel River among some of the world's most treasured vineyards, the Dr. Loosen estate has been in the same family for more than 200 years. When Ernst Loosen (pronounced LOH-zen) assumed ownership in 1988, he realized that, with ungrafted vines averaging 60 years old in some of Germany's top-rated vineyards, he had the raw materials to create stunningly intense, world-class Rieslings. Made from red slate estate vineyards in Erden and Urzig, this dry Riesling has an intense minerality that is warm and enveloping. It has floral, spicy, citrus blossom aromas and harmonious flavors with a full, expansive texture. Very expressive. Silky with a lively tension between sugar and acid; polished with a lengthy finish; another Ernst Loosen masterpiece from a dramatically-steep vineyard. Tasting Panel 92Silky with a lively tension between sugar and acid; polished with a lengthy finish; another Ernst Loosen masterpiece from a dramatically-steep vineyard. Wine Enthusiast 90Stony mineral notes juxtapose rich honey and grapefruit flavors in this foursquare dry Riesling. It's broad and creamy on the palate yet briskly balanced with acidity. The finish is vibrant and long, accented with hints of lime and salt. It was here in the Pfalz region, back in the 19th century, that Pinot Gris was first identified as an individual variety and vinified separately. The modern-day Villa Wolf Pinot Gris is made in a full-bodied, dry style with fresh, unoaked fruit and a crisp texture. This zesty, off-dry Gewürztraminer is full of ripe yellow peach and orange blossom notes. Refreshing & aromatic, without being over-the-top. Highly Recommended!